Nick Bilton/The New York TimesThe Polaroid Land camera in the Instagram offices. In Instagram’s early days, in offices in the South Park neighborhood of San Francisco, basking in the blue glow of half a dozen computer screens, sat an old Polaroid camera. It was a Rainbow SX-70 OneStep Land Camera. Most of Instagram’s 30 million users wouldn’t recognize this instant film camera — even though Edwin Land’s creation was once a big deal, featured on the cover of Time magazine in 1972 — but they would recognize the echoes of the camera’s design in Instagram’s logo. In fact, Instagram’s personality and style were developed in some way from old film camera companies. The application’s filters that convert pictures to look like snapshots from yesteryear were inspired by classic Brownies and Instamatics and disposable point-and-shoots. So why was a small start-up with only 13 employees able to build Instagram while a company like Eastman Kodak, which recently filed for bankruptcy protection, was not? It’s easy to imagine how things would be different at Kodak had it dreamed up the idea. The challenge of creating something small and disruptive inside a large company is one that many face today. 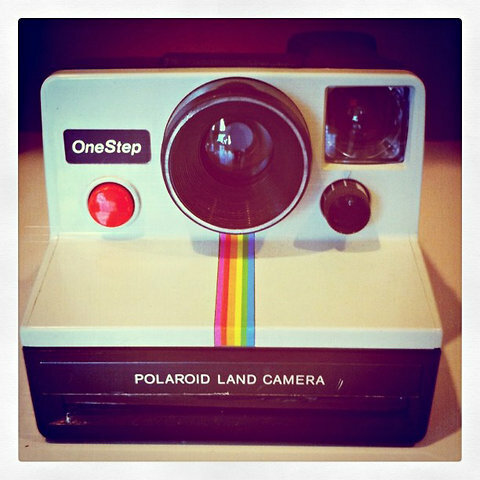 Even if Polaroid or Kodak could have developed Instagram, it’s likely that the project would have been killed anyway. What would be the reaction of almost any executive presented with a business plan to save the company with an iPhone app that had no prospect for revenue? Companies that try to change the fan belt while the engine is still moving usually end up losing a few fingers. Many people thought Netflix was going to defy the innovator’s dilemma as it weaned its customers from physical DVDs to digital downloads last year. It fumbled, and the company’s market value was sliced to just over $4 billion, from $16 billion, during the three months it tried to make this transition. Since it may be impossible to change the fan belt, buying a new engine, even for $1 billion, starts sounding pretty smart.